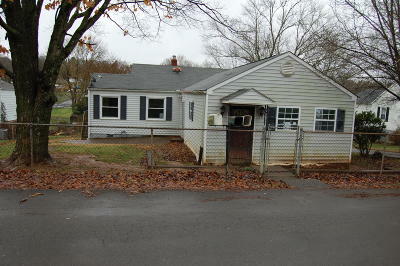 Basement ranch style with vinyl siding, insulated windows, and hardwoods. Fenced yard with one car basement garage plus carport. The Master Bedroom and bath were added to the original home. Side entry to laundry room adjoins the kitchen and small office or study. County taxes only with all municipal utilities. Great fix up opportunity. Listing Agent understands that the AC compressor may need replacement. Sold as is. Verify condition, boundary lines, and approximate measurements independently. No warranties expressed or implied. All offers or counter offers subject to Seller Addendum and final management approval.